First of all, the name of the series is not in vain reminiscent of ruby. 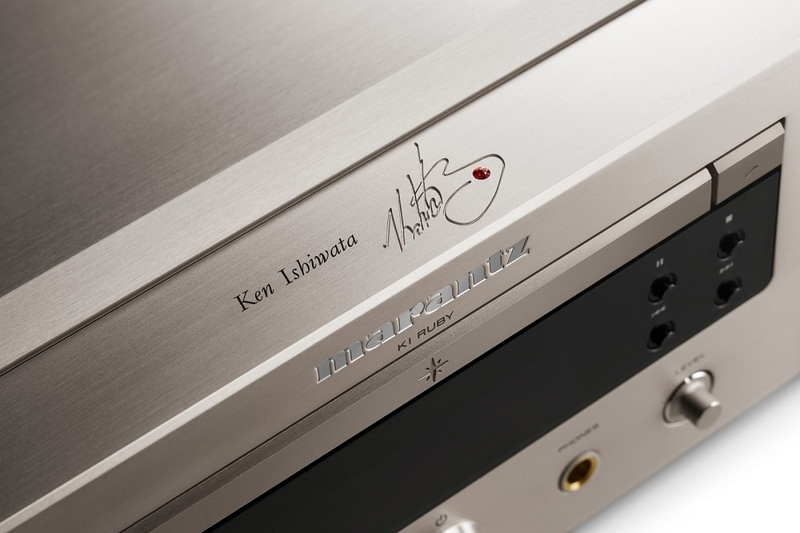 In the middle of the middle is the engraved signature of the Japanese engineer Ken Ishiwata, adorned by a small ruby-coloured crystal, because after all, the audio legend celebrates a ruby anniversary. That is true dedication! 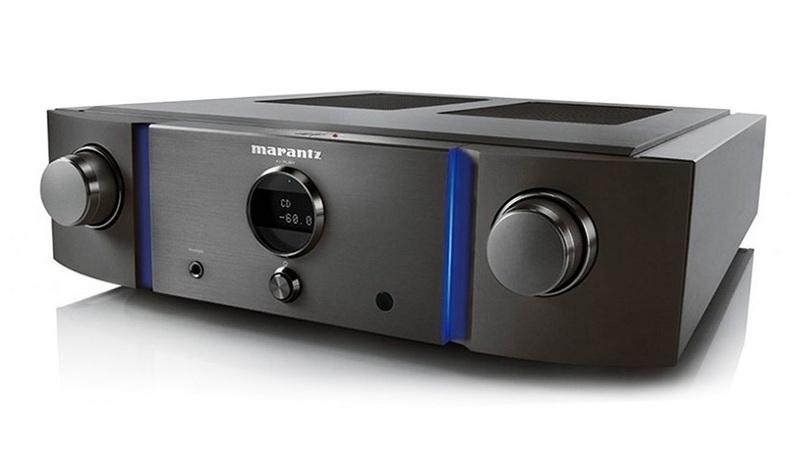 The ruby is also used to visually distinguish the series from other Marantz models. It quickly becomes clear that the KI Ruby series is similar to the 10 series (you can get an impression of this in our interview with Senior Acoustics engineer Rainer Finck) and it is also available in black and traditional champagne gold. However, the KI Ruby series for the European market is limited to just 500 pieces per colour! 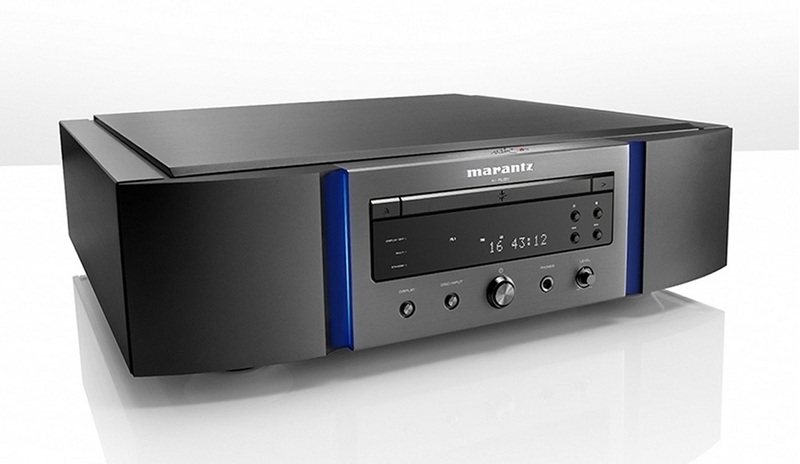 The SACD / CD player SA-KI Ruby immediately reveals that Marantz relies on already familiar values, in this case on the concept of the SA-10 player. 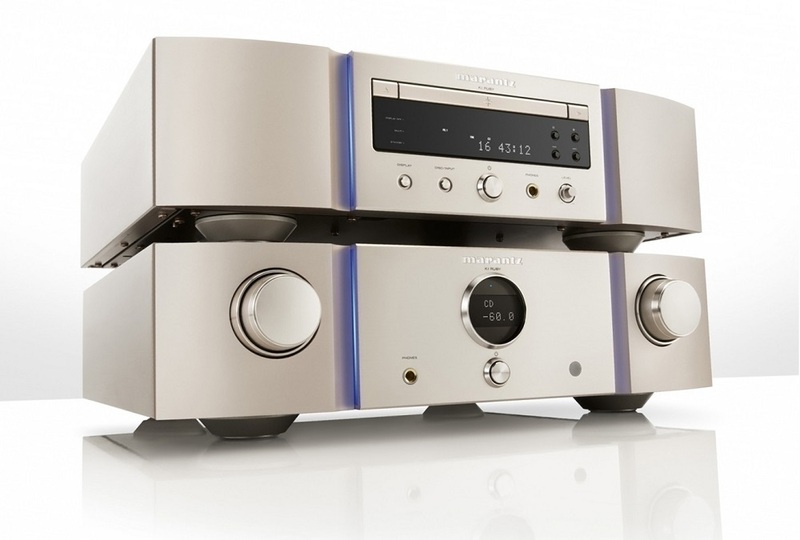 Similar to that, the elegant player has a drive that has been crafted for all audio needs. The SACD-M3 mechanism supports not only SACDs and CDs but also data discs and is therefore compatible with Hi-Res media. At the back, there is an asynchronous USB input, which is also suitable for hi-res audio. Of course, the SA-KI Ruby also has a USB-A-Beech as well as coaxial and optical digital inputs and outputs. The vibration-resistant chassis of the PM-KI Ruby power amplifier consists of a 5 mm thick aluminium front. A two-stage design separates the power supplies for the power amplifiers and preamp. In addition, the model has a switching amplifier design, which means that it has a power of 2 x 200 watts at 4 ohms and 2 x 100 watts for 8-ohm speakers. A pure signal is provided by the proprietary, internal HDAM SA3 circuit. This is supported by the total of six RCA input pairs and two analogue outputs. A headphone output on the front and a speaker terminal made of copper complete the design. A special highlight of the power amplifier is the MM / MC phono input, which is equipped with the Marantz Musical Premium Phono EQ. The two models of the KI Ruby series have voluminous and powerful basses in common. They impress with their excellent sound structure, detailed instruments and pronounced voice reproduction. It is a three-dimensional backdrop drawn with impressive space – just the way you want it from top equipment. We are very much looking forward to the impressive KI Ruby series from Marantz and will of course report as soon as they have arrived. At the latest in the context of our HiFi & Friends in-house event, to which there is all information here, the models will occupy a central position.